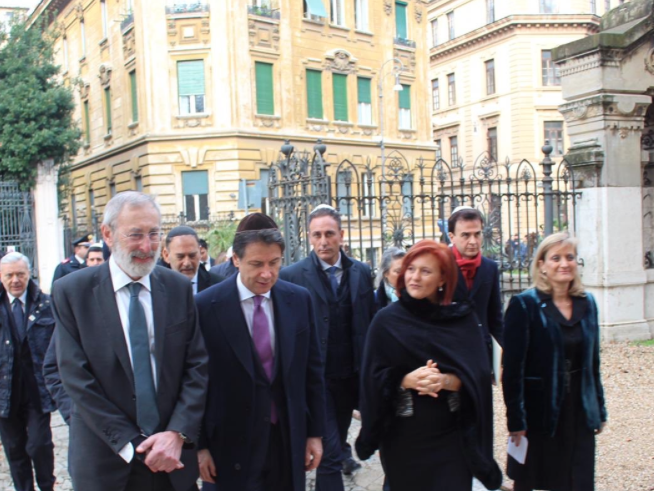 Italian Prime Minister Giuseppe Conte visited the Great Synagogue of Rome on Friday. 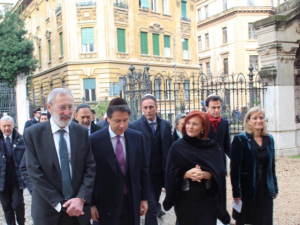 He was escorted by the President of the local Jewish community Ruth Dureghello, the Chief Rabbi Riccardo Di Segni and the President of the Union of the Italian Jewish Communities Noemi Di Segni. The visit focused on many themes: the open wound of the Shoah a few days before International Holocaust Remembrance Day, but also the contribution of Italian Jewry to the life and progress of Italian society over the course of two millennia of history. Some concerns were also expressed by Jewish leaders about the social situation in the country and the general growth of hatred. “We are worried as Jews, but we are above all Italians. We are worried because we perceive animosity in the public debate and violence in the language that produces this phenomena which too often we find ourselves stigmatized,” highlighted President Dureghello in her remarks. “Italian Jews, like all other citizens have different political opinions and the institutions that represent them do not support any particular party” said Rav Di Segni. “But Italian Jews through their representatives can and must bear witness to the values of their traditions such as those of the defense of life, freedom and human dignity, even if at times this testimony goes against the general trend”. 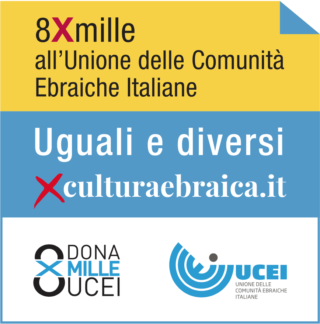 Then President Di Segni highlighted: “Anti-Semitism is not a phenomenon of the past. Today it is even stronger and beyond the phenomena connected to terrorism and Islamic radicalism. We are worried about the strong and distinct resurrection of groups on the extreme right, of violence and hatred, which are spread via the web which may kill with words; but also with weapons. All of this, while we appreciate immensely the tireless work of the police”. PM Conte then spoke, assuring maximum commitment to religious freedom and against all intolerance. Also he highlighted the significance “of the immense heritage of Judaism which has permeated our culture in every field”. Anti-Semitism, he added, “is the rejection of European values”.